New York can have its bagels. 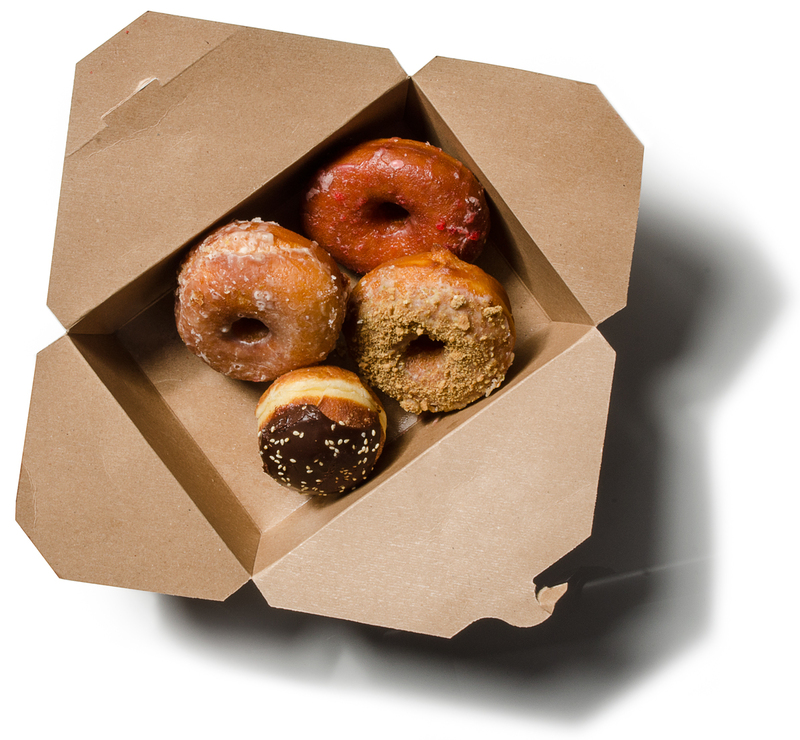 Boston has a stranglehold on good doughnuts. Sure, there’s a Dunkin’ on every corner, but we’re talking about the real show-stoppers: Joanne Chang’s vanilla cream-filled doughnuts, which have been lauded by lifestyle guru, Martha Stewart. Betty Ann Food Shop’s sugared crullers and hefty, jelly-filled balls featured in Saveur. 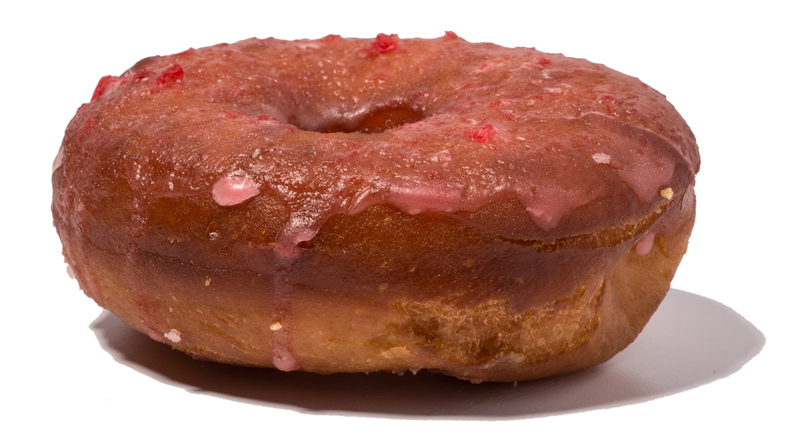 And Clear Flour’s traditional black currant variety, a nominee for “America’s Best Doughnuts” in Food & Wine magazine. But doughnuts are going far beyond the bake case. Boston is in the midst of a full-blown doughnut craze with chefs adding them to dessert lists, brunch menus (highlighting their versatility), and pop-up doughnut shops commanding massive crowds. 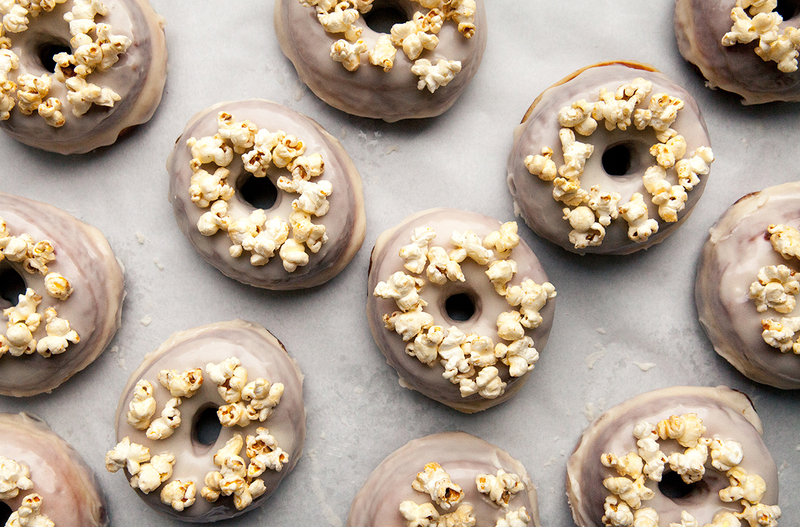 Simply put, doughnuts are the new bacon. Hell, they’re bigger and buzzier than the cronut. 500 Commonwealth Ave., Boston. Info: 617-532-5300, islandcreekoysterbar.com. 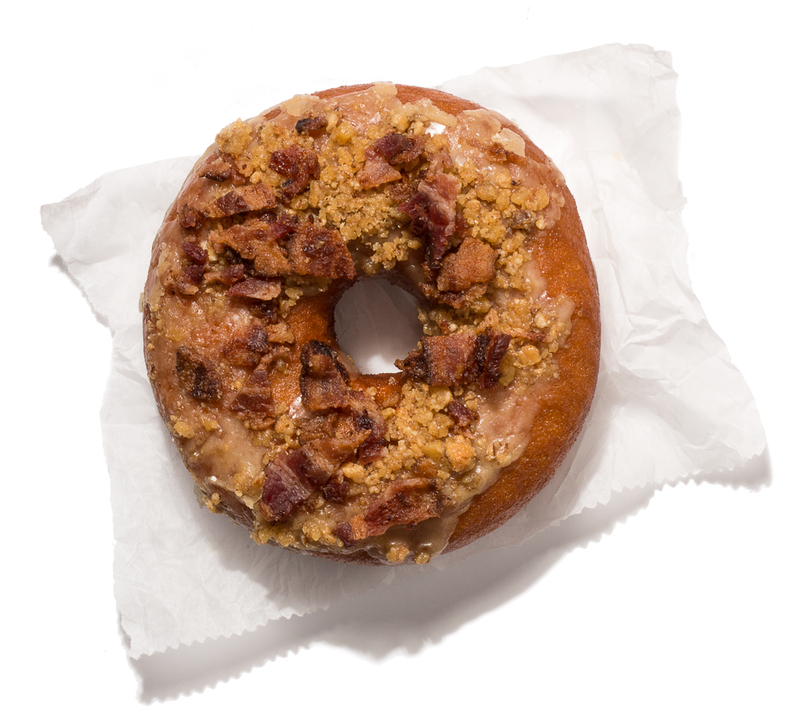 Since opening their doors in 2013, Union Square Donuts has been known for one standout sweet, their maple bacon doughnut. “We make so many other great doughnuts,” co-owner Heather Schmidt says. Her traditional Boston Cream is a stunner as is her brown butter hazelnut crunch, which is available during colder months. 16 Bow St., Somerville. 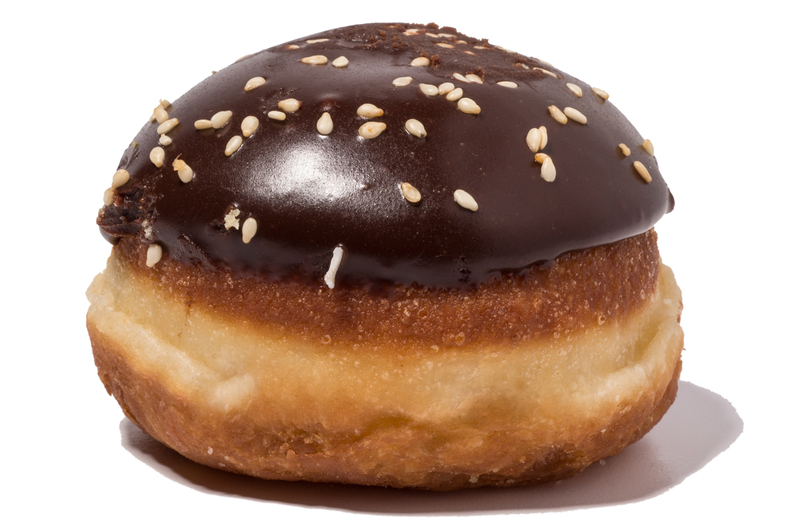 Info: 617-209-2257, unionsquaredonuts.com. Sofra pastry chef and co-owner Maura Kilpatrick puts tahini directly in her brioche batter to make these weekend-only doughnuts particularly “nutty” and “savory.” She then tops them with a salted caramel ganache and stuffs them with a brown butter crème which Kilpatrick likens to “cheesecake filling.” The result is like the heavenly offspring of a Boston cream pie and profiteroles. Sofra only makes two dozen of these on Saturdays and Sundays, and they tend to go fast. Luckily, Kilpatrick also makes her equally tempting persian spice doughnut and a pistachio cake topped with Meyer lemon glaze, just in case you need alternatives. 1 Belmont St., Cambridge; 617-661-3141 or sofrabakery.com. 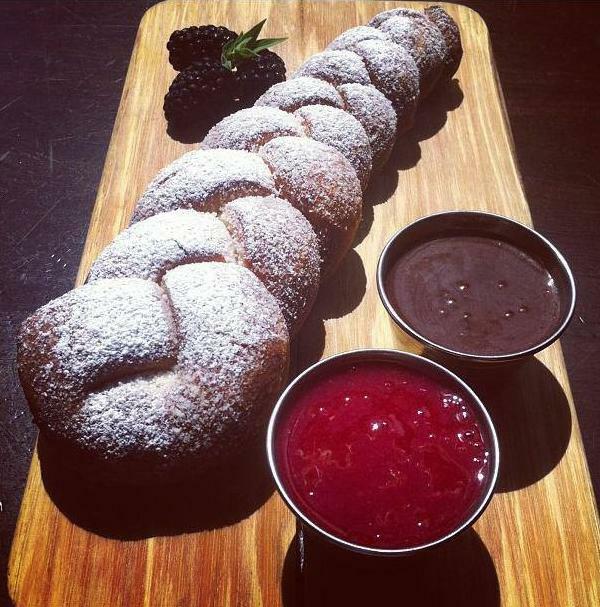 The Gallows’ foot-long braided donut. “We love making doughnuts, and we know how to do it” says Rebecca Roth Gullo, owner of The Gallows. That certainly appears to be the case with several of their Sunday brunch best-sellers incorporating some version of the fried confectionery. The Gallows savory doughnut breakfast sandwich (a bacon and cheddar doughnut stacked with maple-sage sausage, cheese, and a fried egg) is a can’t-miss, but definitely save room for the foot-long braided doughnut with seasonal dipping sauces like peanut butter mousse, strawberry tequila, whiskey plum, and easily their most requested, the marshmallow Fluff. 1395 Washington St., Boston; 617-425-0200 or thegallowsboston.com. Since leaving her position as sous chef of No. 9 Park in February, Stephanie Cmar has accumulated a cult-like legion of foodie followers who track all her latest doughnut gossip via Twitter. That’s because her inventive concoctions, sold in limited quantities at Stacked Donuts—a pop-up shop now at Commonwealth in Cambridge—are one of the hottest edibles in Boston. Each weekend hundreds of hungry hopefuls line up for the chance to try Cmar’s latest menu, a rotating selection of three gourmet doughnuts. Commonwealth, 11 Broad Canal Way, Kendall Square, Cambridge; follow via Twitter at @StackedDonuts. There’s plenty of reasons to brunch at Milton’s Steel & Rye, like Chef Chris Parsons’s playful take on chipped beef on toast with red wine-braised beef shank and smoked mushrooms or his heightened version of pork and beans with crispy pork belly. But what keeps us coming back is pastry chef Meg Thompson’s apple caramel doughnut, a delicate cake doughnut that’s treated like a deconstructed apple pie. 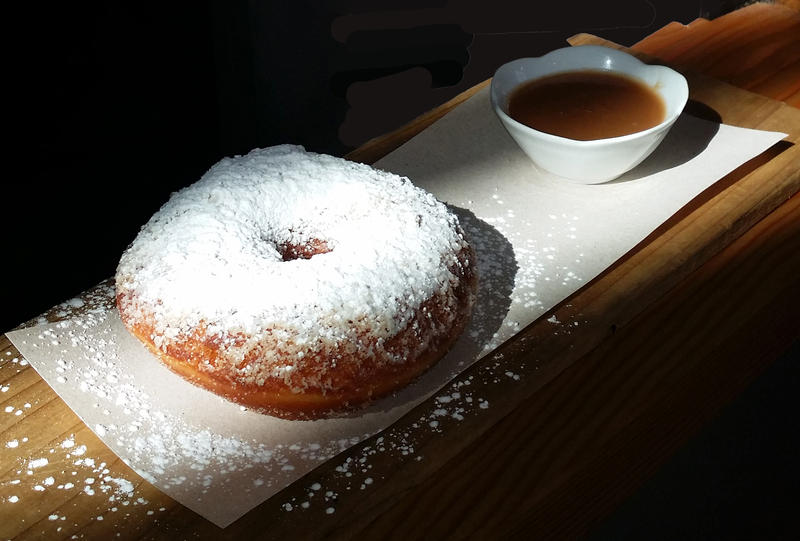 Thompson serves each doughnut fresh from the fryer with a crackly crust and a warm, fluffy interior. A dense layer of sugar, cinnamon, nutmeg, and other pie spices coats the top. Then there’s the dipping sauce: caramelized apples cooked down with lemon and sugar, until Thompson achieves an “apple butter consistency.” She then makes a salted caramel sauce and mixes the two. Forgo any thoughts of genteel drizzling, just follow your gut and dunk each buttery chunk in a gooey bath of apple pie filling. 95 Eliot St., Milton; 617-690-2787 or steelandrye.com.